ESO’s first expansion has now been officially released on all platforms. Players will set their course towards Morrowind and return to the iconic island of Vvardenfell. I’m sure many of us will be thrilled to re-visit the ancestral home of the dark elves since the single player game in 2002. Orsinium is the second official DLC game pack for The Elder Scrolls Online and it will launch officially on PC/Mac on November 2nd (already available on ESOTU PTS), Xbox One on November 17th and Playstation 4 on November 18th. It boasts over 20 hours of story content and quests. The DLC will costs 3,000 crowns in the ESOTU Crown Store. It will be free to those who have active ESO Plus subscription. The base game will receive an update which adds many features like gamepad support for PC, subtitles, LFG system improvements to name a few. The gates of the Imperial City have opened to the PC and Mac players. The Imperial City launch for Xbox One and PlayStation®4 will take place on 9/15 and 9/16. Zenimax has released more information on Tel Var Stones, the alternate currency of the Imperial City DLC. We now know a lot more about the perils of finding Tel Var Stones! Players won’t be able to find Stones in the PvE sections of the Imperial City, so there’s a constant risk involved. There will also be a special Tel Var Stone Gain Multiplier, which increases based on how many stones you carry. The more stones you have, the more you’ll also get. The First official DLC game pack for The Elder Scrolls Online: Tamriel Unlimited, Imperial City, now has a release date. The DLC will be on PTS later on July, and the launch date for PC/Mac is August 31st, for Xbox One September 15th, and for PlayStation 4 on September 16th. Imperial City DLC is included in active ESO Plus memberships. For others, the only way to purchase the DLC at this point is to buy it via the ESOTU Crown Store for 2,500 crowns. The core of the DLC includes a new playable area at the heart of Cyrodiil, the Imperial City, which has now falled into the hands of Molag Bal’s minions. The Imperial City consists of six Districts, the vast Imperial Sewers network and the White-Gold Tower. 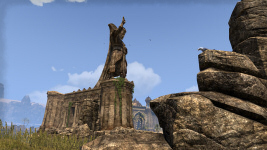 Brian Wheeler of ZOS has posted an update on what Zenimax is currently working on to tackle some of the issues found in Cyrodiil, not only server performance wise but also regarding PvP mechanics that “promote poor sportsmanship and undesirable reliances”. 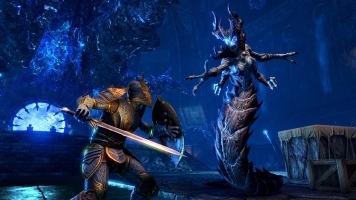 The Elder Scrolls Online: Tamriel Unlimited v2.0.11 is an incremental patch that introduces Psijic Ambrosia – an Experience Point booster – and limited scaling and battle leveling consumables. You can read more about these additions below. We have also fixed a number of issues involving awkward shield animations, flying Sorcerers, weak Flesh Atronachs, and more! The size of this patch is approximately 2.8GB for English, 600MB for German, and 3.6GB for French. It’s that time of the year again – E3 is on. Zenimax released a brand new video showcasing what’s in store for the ESO players in the near future. 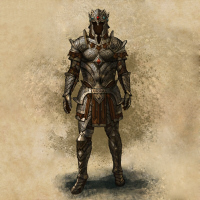 The Imperial City will be unlocked as players get to drive the evil from the City in Cyrodiil. In the video we also see a glimpse of Orsinium, the realm of the Orcs, and a clear sign that the Dark Brotherhood will make its appearance very soon. So now ‘we know’, huh? Today is the launch day of The Elder Scrolls Online: Tamriel Unlimited for Xbox One and PlayStation®4 consoles. The console version of ESO includes a new UI designed to suit consoles better and an in-game voice chat system. Along with the console release, Zenimax Studios has given us a trailer titled ‘A Hero’s Journey’.